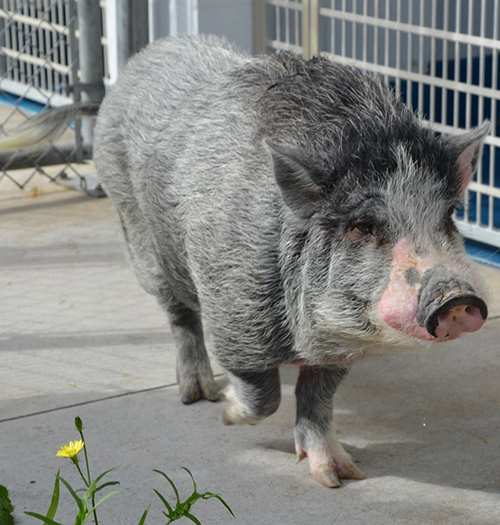 PEARLAND, TX (KTRK) -- If an adorable pet pig could complete your life, look no further than Pearland, where a charming, 125-pound pig named Hammy is waiting with baited breath for his next owner to sweep in and give him all the love he can handle. 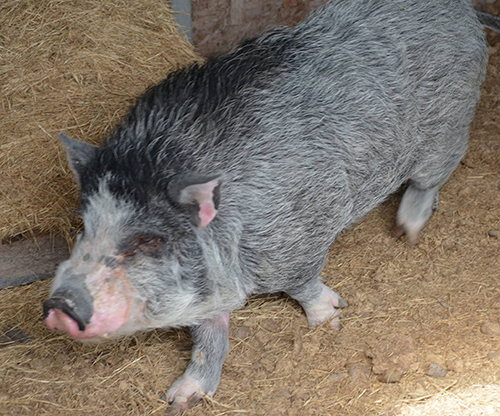 Handlers at Pearland Animal Control say the porcine cutie pie is very social. 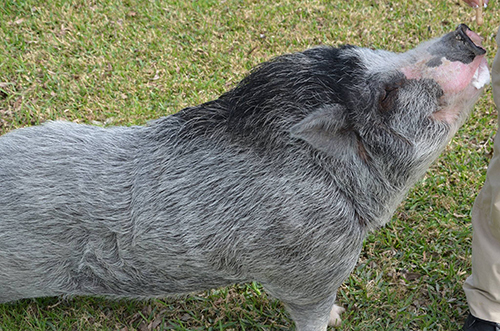 He acts just like a dog, wagging his tail and sitting on command for treats. 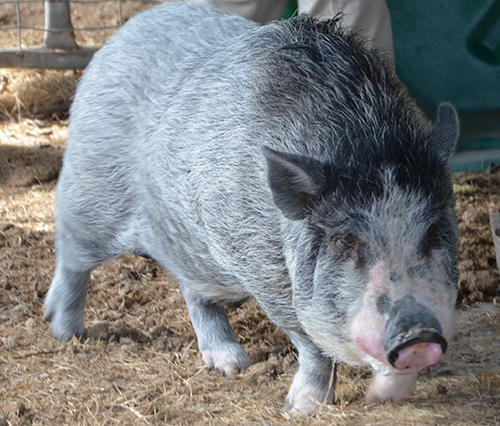 Hammy reportedly lived alongside dogs in his previous home. 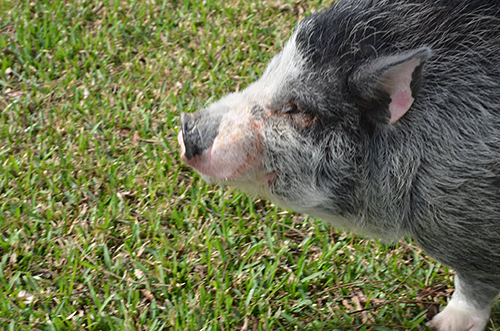 But Hammy's most admirable trait is one you can't even see -- he doesn't stink! 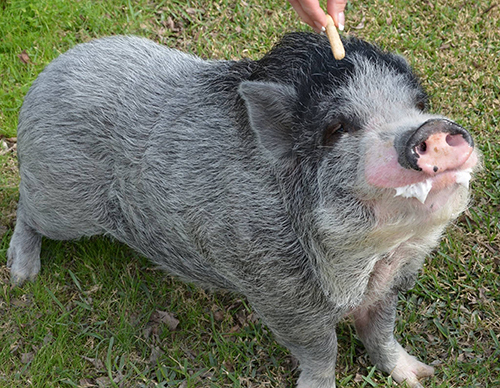 Meet Hammy, an adorable pet pig in Pearland who needs a new home. 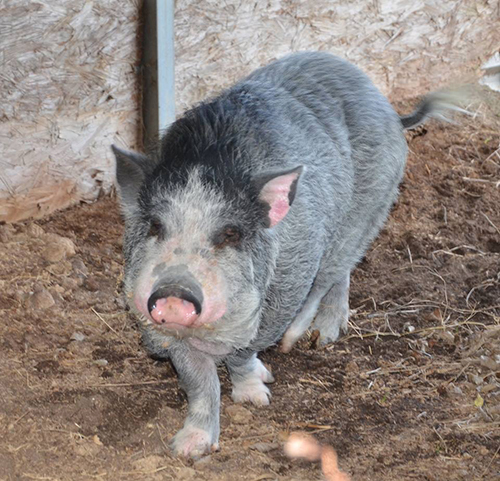 There is one small roadblock sitting between Hammy and his happy ever after: his future owner will have to live outside of Pearland city limits -- city law does not allow for swine to be kept as pets. 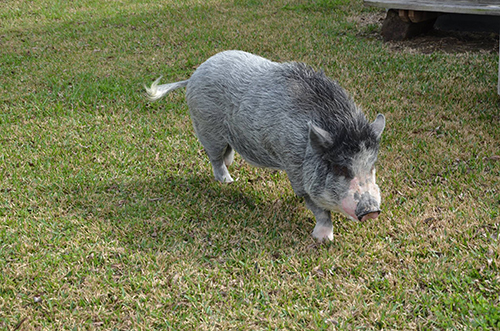 According to Pearland Animal Services, Hammy was abandoned by his family in late 2016, at which point he broke into his neighbor's house in search of food. 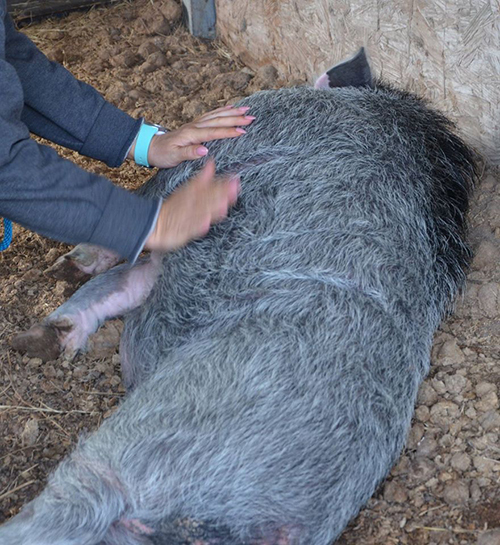 The neighbor called Animal Control, and Hammy has been under their care ever since. 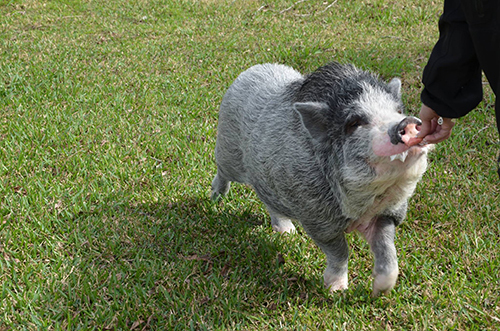 Hammy is ready to be adopted at a moment's notice. 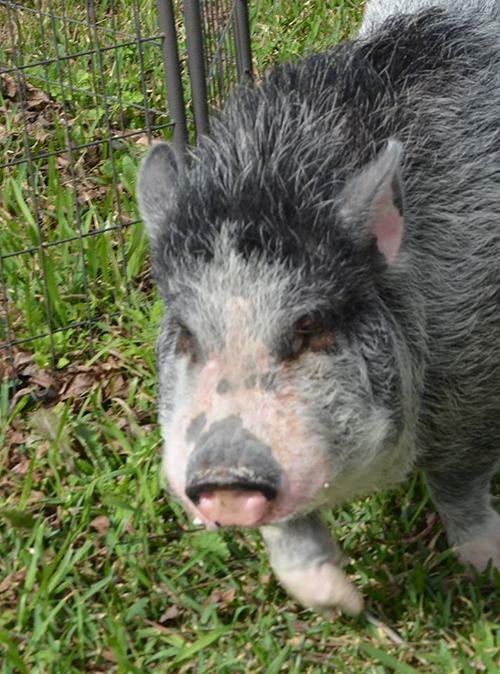 If you don't make it to Pearland Animal Control in time to see Hammy, head on over to Houston Mini Pig Rescue for more delightful pigs.